What’s A Superman To Do? When he can’t get hold of his favourite DC Comics titles? He just heads over to see Carol Fein at DC, who tells him to subscribe to save himself the disappointment of his “favorite newsstand” selling out. Reading this, I had to wonder – why don’t DC just give him the titles? He’s the most iconic character they have, the one that all other super-heroes spring from, and yet they force him to buy – potentially – the same titles that he’s actually appearing in! 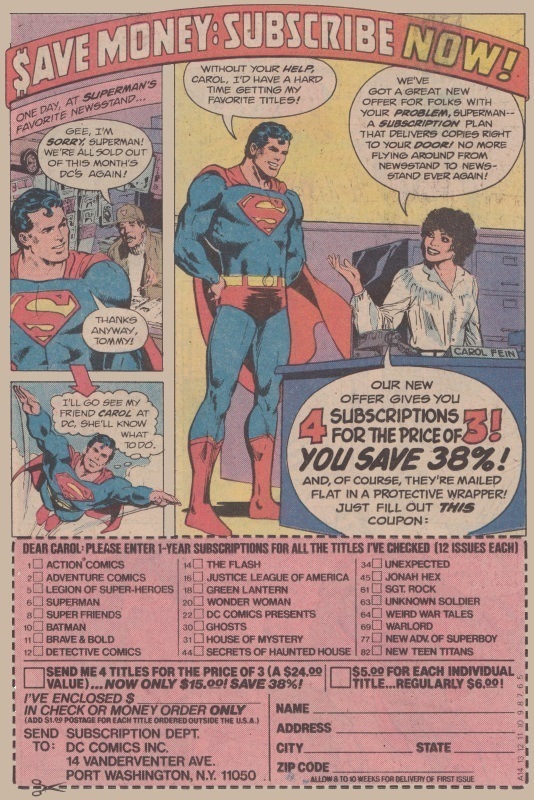 And sure, getting 38% off the price is a much better deal than a five minute pre-paid phone card, but come on, DC, this is Superman. Are you really going to make him pay for those comics? Man . . . and Alan Moore thought he was treated poorly. By the way, in the very next issue of Justice League of America after the one I’d found the above ad in, contained a similar ad with Batman which I was going to feature . . . and then found that snell over at Slay, Monstrobot had beaten me to it . . . by about six years . 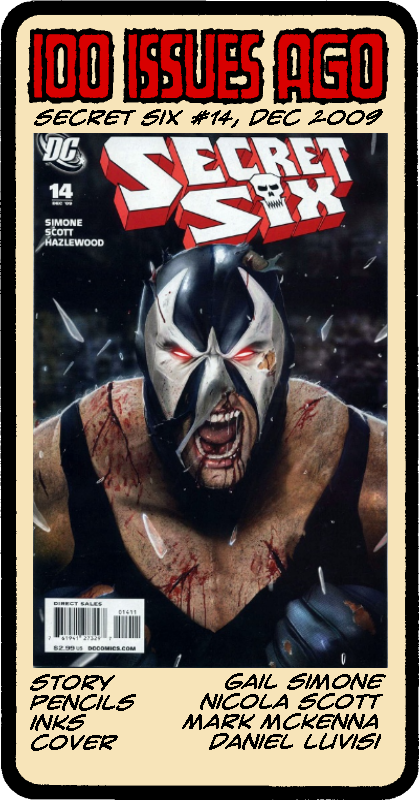 . .
Posted on Monday, April 30, 2018 Sunday, April 29, 2018 by GaryPosted in AdvertisementTagged Batman, Superman, The 80s. And as long as you didn’t want to talk for more than five minutes, that is. Seriously? 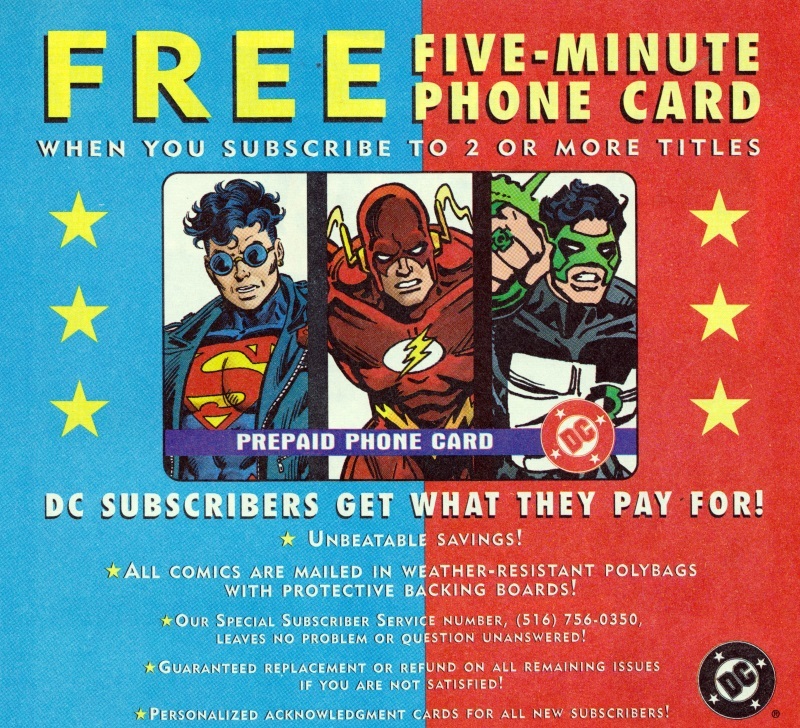 A five minute pre-paid phonecard is something worth touting as an incentive to subscribing to two titles? Any of my American visitors want to try ringing (516) 756-0350 and letting me know what happens . . . ? But look – Conner, Wally and Kyle! The 90s weren’t all bad. Looking for somewhere to go on holiday this summer? 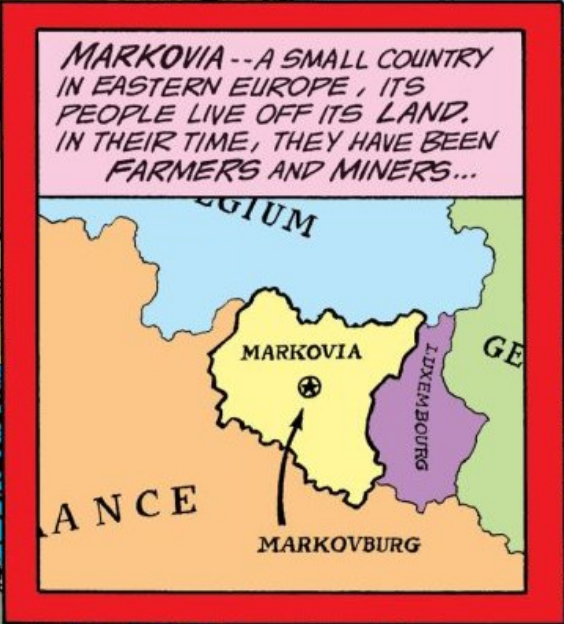 Why not choose lovely Markovia? along with those other famous Eastern European countries France, Luxembourg, Belgium and Germany. Now I know there’s no definitive line of where East and West Europe begin and end, but that’s pretty far from Eastern Europe by anyone’s standards. France, Spain and Portugal are the only other mainland European countries further West than Markovia! Hell, even Switzerland becomes Eastern European by Mike Barr’s definition! Enjoy your Eastern European holiday in Western Europe, everyone! Posted on Tuesday, April 24, 2018 Monday, April 23, 2018 by GaryPosted in UncategorizedTagged Maps, Markovia.